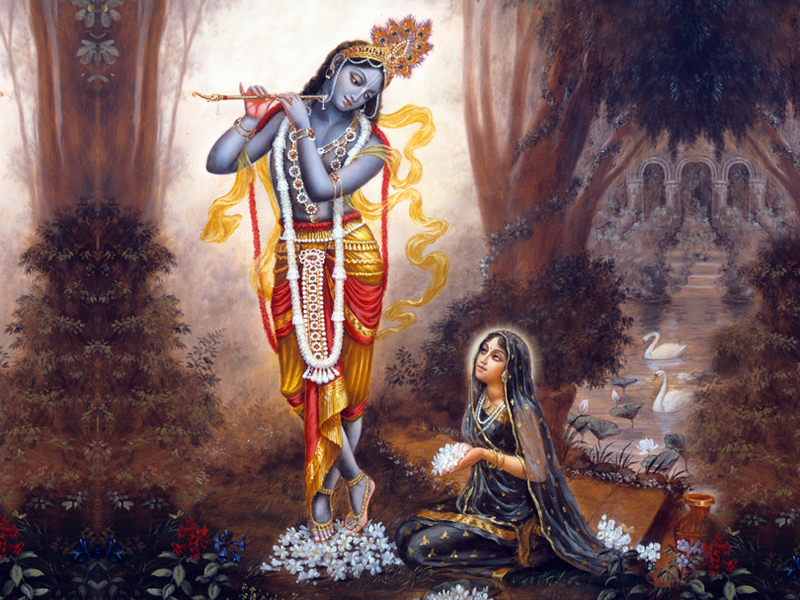 In the beginning of the rasa lila, Bhagavan Sri Krishna says something very special to Srimati Radharani. Krishna’s words are very inspiring and encouraging to all the fortunate devotees now living in Vrndavana Dhama performing Krishna bhakti bhajan, or to any devotees planning to live here in the future. Jai Sri Krishna! Great words of encouragement to live in Vraja doing Krishna bhakti bhajan, and to come to Vraja for bhajan. Living in Vrndavana means being accepted directly into the heart of Sri Krishna. He is personally saying that here, and that He will take care of everyone in Vrndavana. 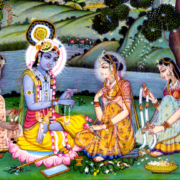 Krishna is telling this to Radharani, the eternal Empress of Vraja, Vrndavanesvari. Indeed, any Vrndavana nivasi Vaisnava will always cherish in their hearts this most wonderful golden promise of satya-sankalpa, Syamasundara Bhagavan. In 1958, to practice Vraja bhajan, Srila Prabhupada left everything he had in the world to live in Sridhama Vrndavana. 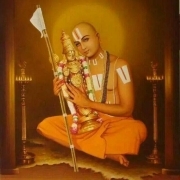 In that first year in Vraja, he wrote the following emotionally packed poem “Vrndavana Bhajan”. Here are a few pure devotional effusions from that work which clearly reveal the extraordinary power of living in Vrndavana and doing Krishna bhajan. “Again and again making plans, and again and again they are destroyed. This relationship is not tinged with the smell of maya. “All are your relatives, brothers! All the billions of jivas. When seen in relation to Krishna they are all in harmony. “Where have all my loving fathers and mothers gone to now? Then very easily he crosses over the ocean of samsara. Vrndavana bhajan ki jai! Srila Prabhupada ki jai! Jai Jai Sri Radhe!